(Newser) – The home of the Swedish royal family is apparently spook central. But Queen Silvia says not to worry, the "small friends … ghosts" that haunt the 17th-century halls of Drottningholm Palace mean no harm and don't scare her, reports the AFP. "They’re all very friendly but you sometimes feel that you're not completely alone," the 73-year-old queen says in a new documentary by the country's public TV network SVT. 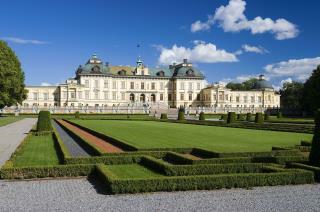 Located on Lovon Island off Stockholm, Drottingholm is the principal home of Queen Silvia, Sweden's longest-serving queen, and King Carl XVI Gustaf, her husband of 40 years. Its UNESCO World Heritage listing describes it as "the finest example of an 18th-century north European royal residence inspired by the Palace of Versailles." poor old queen done lost it! Hundreds of years of inbreeding and you end up with people who see ghosts.